A cute and delicate sterling silver necklace with a cubic zirconia heart and small sterling silver angel wing. 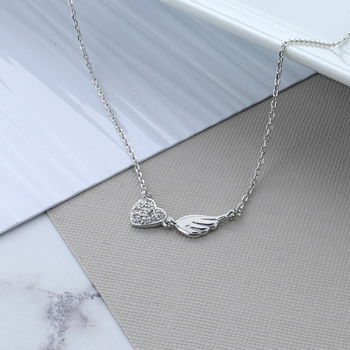 The beautiful sterling silver necklace features a small angel wing attached to a sparkly cubic Zirconia heart. The necklace looks great worn or layered together with other necklaces. The necklace would make a great gift for a friend's birthday, loved one or thank you to your bridesmaid on your special day. 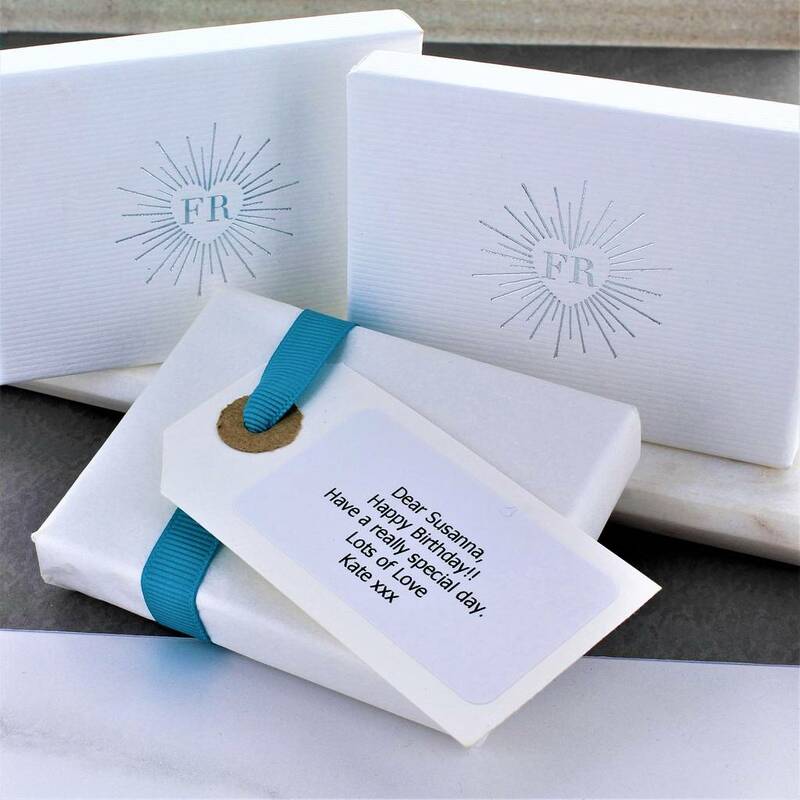 Each piece arrives in a beautiful gift box with a free gift wrapping service also available upon request.